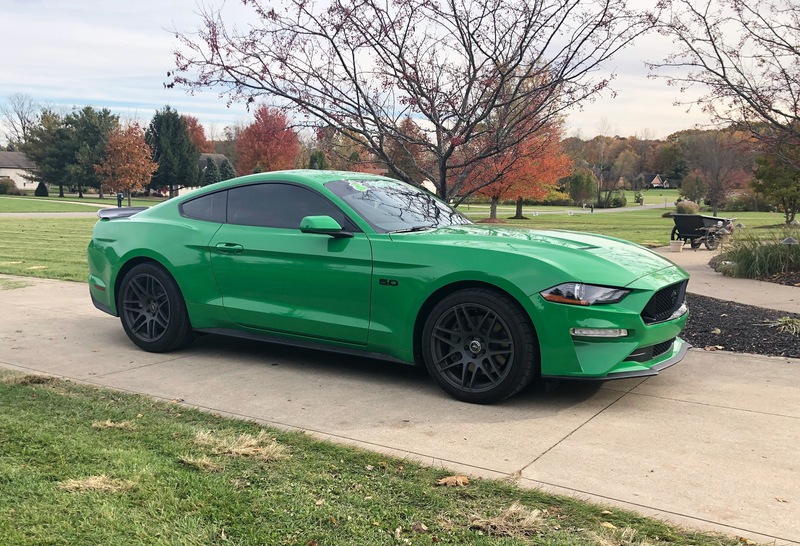 2019 Need For Green Ford Mustang GT 10 speed. Nicknamed “Reptar” Has a GT350 Spoiler, Blacked out emblems, MBRP Race Catback. Forgestar F14 wheels. Mickey Thompson ET Street SS on the rears, Street Comps up front.